"Well San Francisco is pretty much the same season, year-round. That inspired me to wear a lot of brown. Brown is not traditionally spring. I've got brown on my dress, in my jewelry. I'll just wear more brown, why not?" 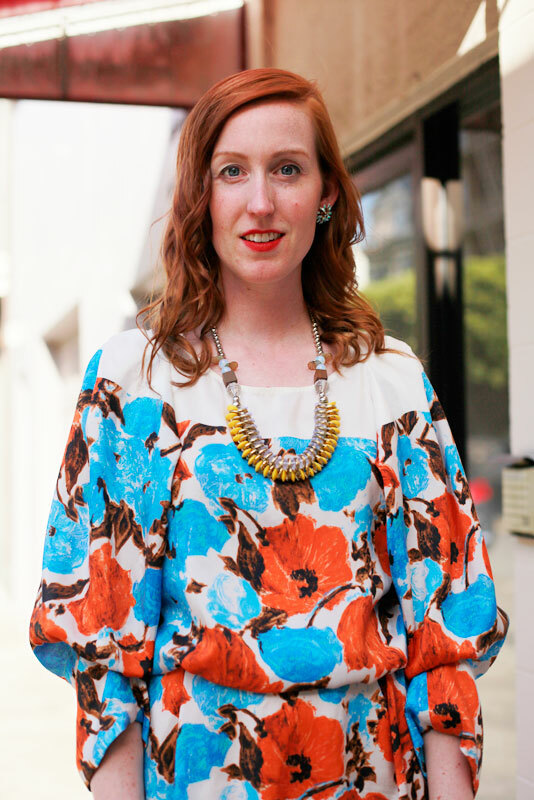 Catie is the proprietress of Dronning Vintage and the blogger behind Cuffington. Here she wears a beautiful Dries Van Noten dress and wooden heeled sling backs. Catie is one of the most elegant and thoughtful fashion blogger friends I have in SF and we met years ago at dinner with the amazing Wendy Brandes. 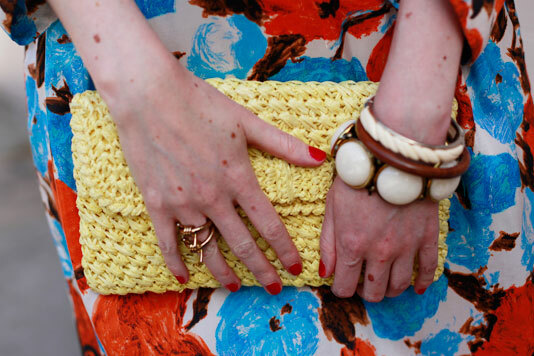 Close-up of her accessories, including: a straw clutch, arm candy, and a barb wire ring. A look at those wooden heeled Marni sling backs that make her crazy tall. Well, check that out! You say such sweet words and take even sweeter pictures. very nice photos! and your dress is soo cute!